We recently included the Gamevice controller for the iPad mini in our accessory gift roundup for tablet owners. The Gamevice for the iPad mini provides a different experience, attaching directly to the tablet via the Lightning port and transforming your device into a portable machine “truly made for gaming.” Coming soon, the Lightning-connected controller will arrive for the iPhone, as well. Retailing for $99.95, the Gamevice connects directly to the Lightning port on your iPhone 6, iPhone 6 Plus, iPhone 6s, or iPhone 6s Plus. 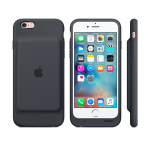 The accessory is a one-size-fits-all controller, so you can use it easily with multiple handsets. The controller is collapsible for easy transport, and it includes a 400 mAh battery and a four-LED indicator to let you know how much juice the accessory has left. The Gamevice includes all of the controls you’d expect, including two joysticks, a directional pad, and the typical A, B, X, and Y buttons, along with a pause button. On top, it boasts two trigger buttons and two bumpers. The integrated Lightning jack allows for pass-through audio to the Gamevice’s integrated 3.5 mm headphone jack, and the controller is recharged via a micro USB port. 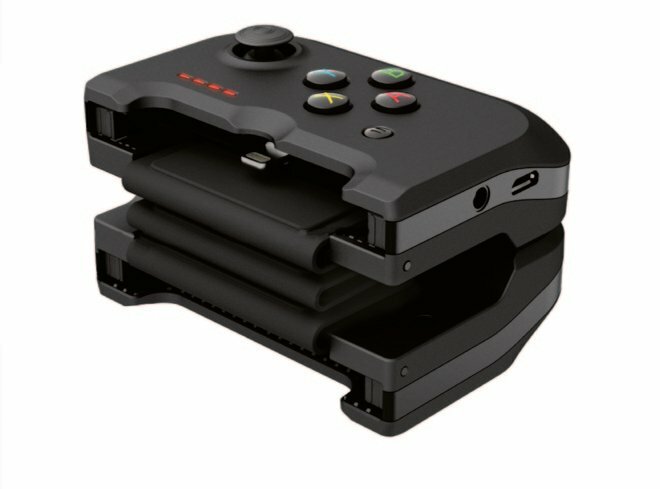 Most controller accessories use wireless Bluetooth connectivity, so the Gamevice is unique in that it doesn’t require any pairing processes. A really nice feature of iOS, Controller Forwarding, allows you to make use of the Gamevice even with other external devices like your iPad, Apple TV, or even your Mac desktop or laptop computer. 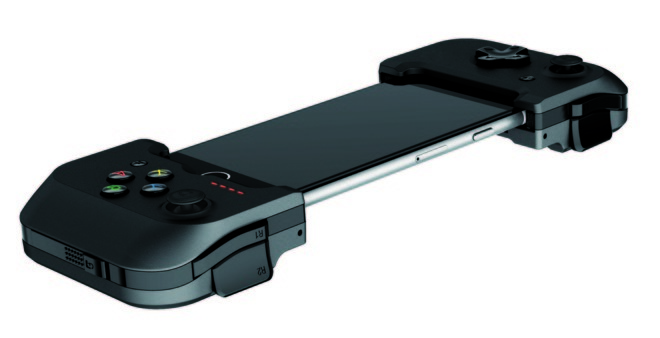 The Gamevice controller should be available soon from Apple’s retail and online stores for $99.95.